Some panoramas spliced from pictures taken while my wife and I were traveling in the western U.S. in summer 2007. Lower Falls in the Grand Canyon of the Yellowstone, Yellowstone National Park. The Sawtooth Mountain range in Sawtooth National Recreation Area, Idaho, seen from near Stanley. 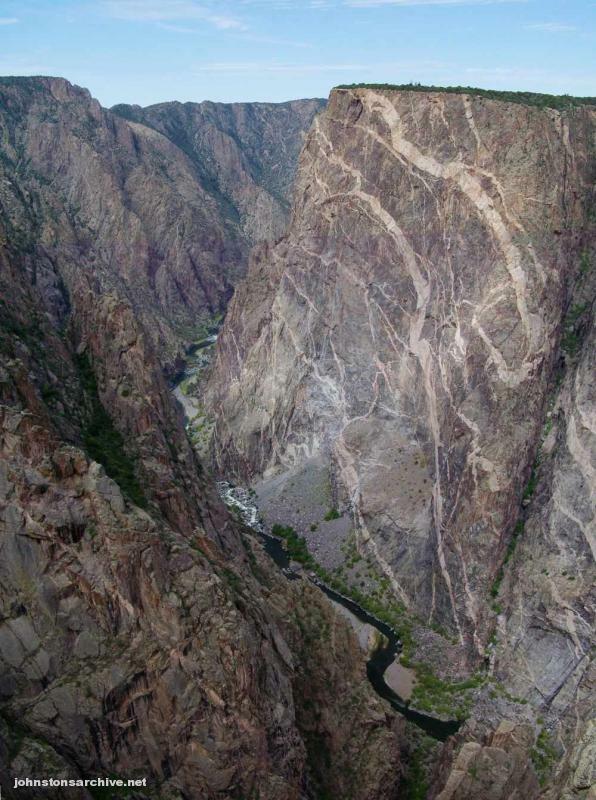 Black Canyon of the Gunnison, Colorado, facing the Painted Wall. At this point the canyon is about 670 meters deep and about 750 meters wide. The Beaverhead Mountain range on the Idaho-Montana border, seen at sunset from just outside Salmon, Idaho. Last modified 20 August 2007.